In addition to florals being big this spring, pink is back in the rotation (I know, another groundbreaking trend). Of course, being the girly girl that I am, this color never leaves my wardrobe but when spring comes, I just can't resist the urge to wear it even more. After I spotted this trench on Devon Rachel, I just knew it had to be mine. 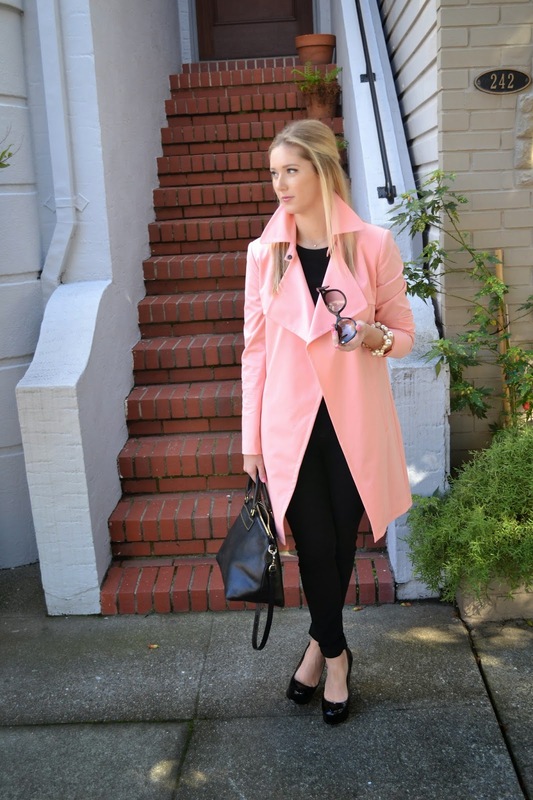 I mean, $100 for the perfect pink trench? I did not hesitate ooooone bit. Ohh my gosh cutest trench ever! I need it! Gorgeous on you. This is such a classic look! Love the pink with all black!